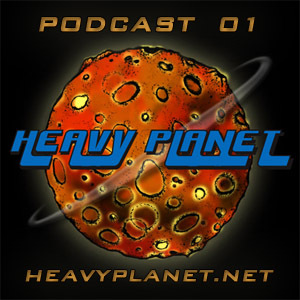 Heavy Planet in association with Grip of Delusion Radio will broadcast a monthly podcast. Eventually the podcast will be weekly, but for right now it will be monthly. This month's podcast features bands from Sweden. Why you ask? Listen to the podcast and find out. Many of you already know why, but for those of you that don't will see why Sweden is such a huge contributor to the Stoner Rock/Doom genre. We want to make our podcasts fun and interactive. We want to extend our blog into our podcasts. You will hear each of the writers of Heavy Planet taking turns being a "DJ". We will also feature some "New Band To Burn One To" bands from the past within each episode. We are always looking for band submissions, song submissions, episode suggestions, etc. Please tune in this Sunday October 16th from 4:00 EST-6:00 EST to listen to the show. Thanks for listening! For all inquiries please contact us @ heavyplanet2001@yahoo.com. I'm working on getting that fixed. In the meantime check out these streaming podcasts. Great post! More swedish heaviness on tung-sten.tumblr.com!